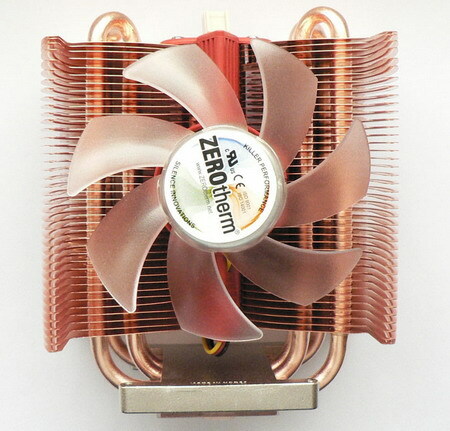 We will check today Zerotherm processors cooler . 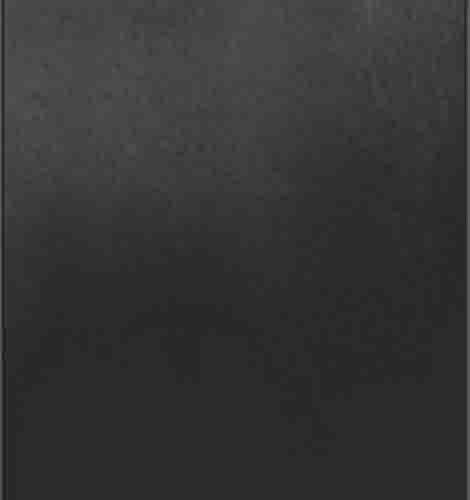 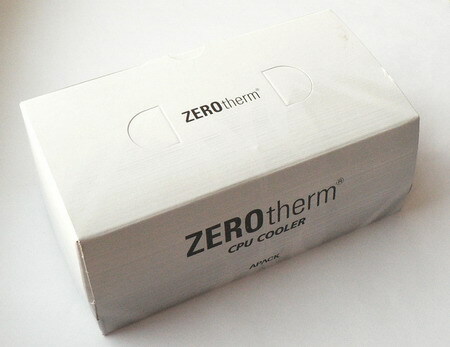 In this review we will examine immediately three cooler APACK zEROtherm, which are very close each to other. 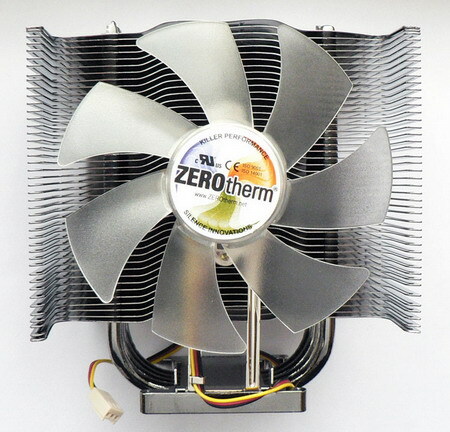 Two models zEROtherm BTF80 and ZEROtherm BTF90 are practically twins and are distinguished only by the material radiator used ( BTF80 aluminum and in BTF90 copper); therefore here we will study only BTF80. 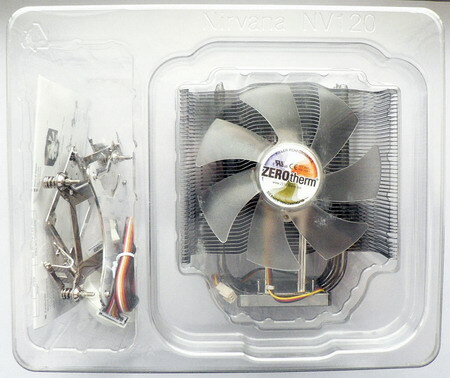 This cooler (APACK zEROtherm) was made in Korea. 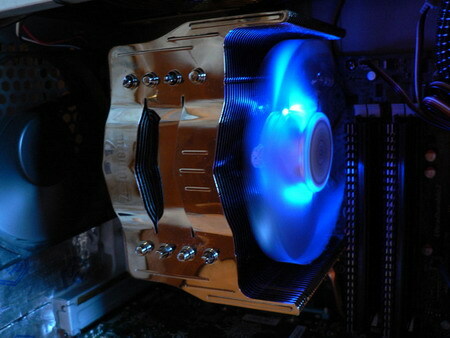 Cooling unit are just beautiful. 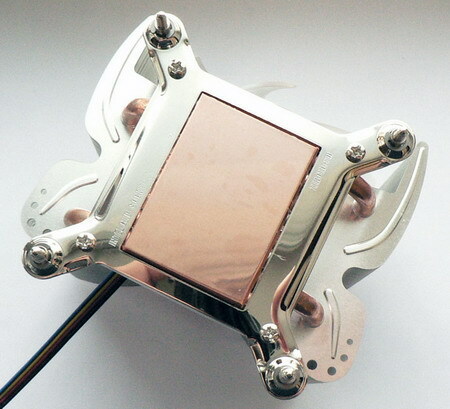 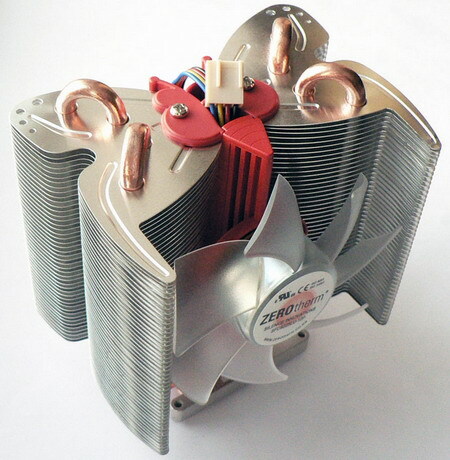 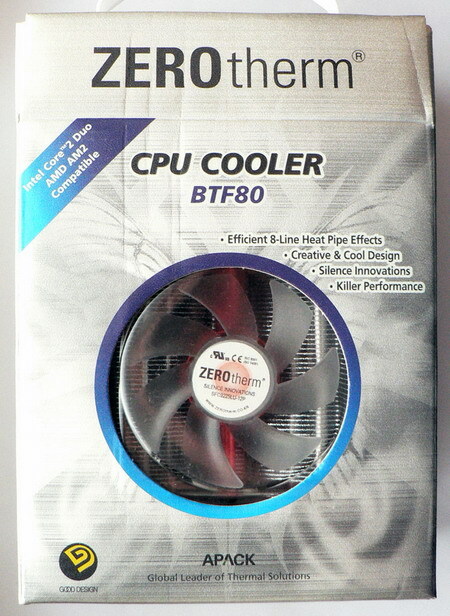 The cooling systems BTF80/90 and BTF92 is identical. 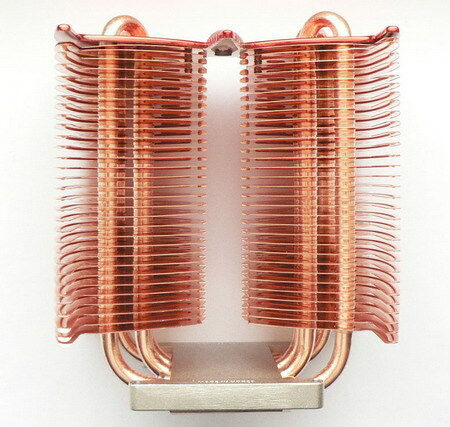 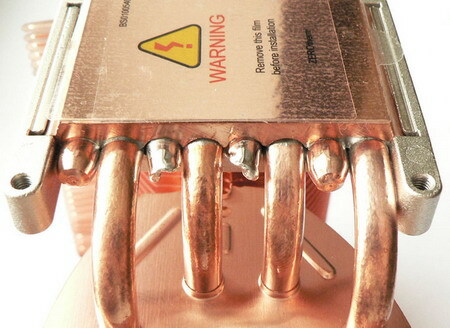 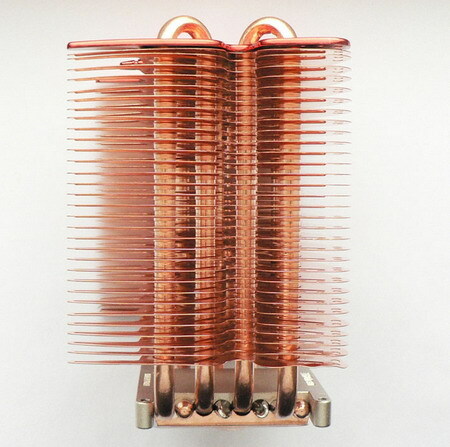 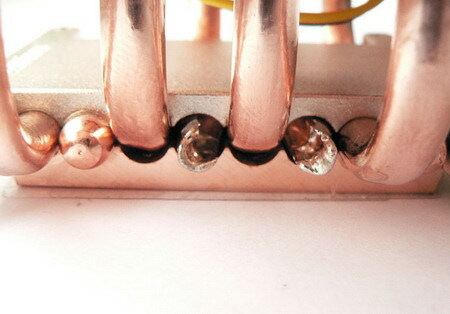 There are four copper thermal tubes with 6 mm diameter . 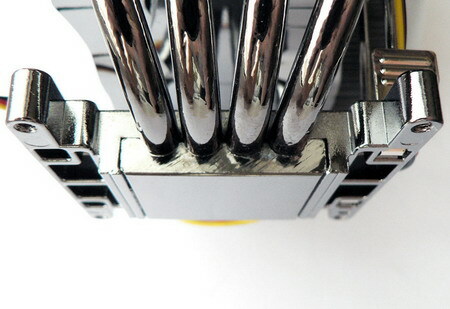 The sizes of BTF80/90 models are identical ( 100 x 94 x 77 mm ) with 458 and 678 grams weight , and here BTF92 is larger : its overall sizes are equal to 108 x 81 x 128 mm with 638 grams weight . 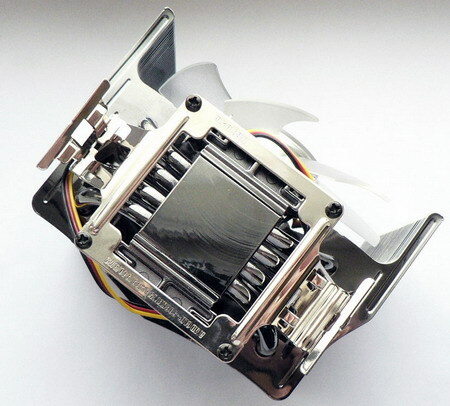 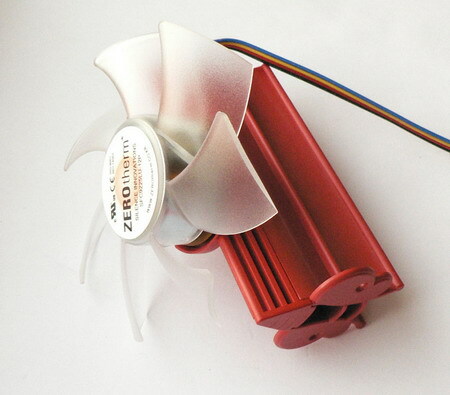 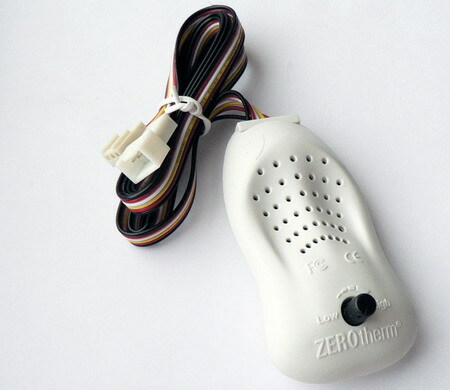 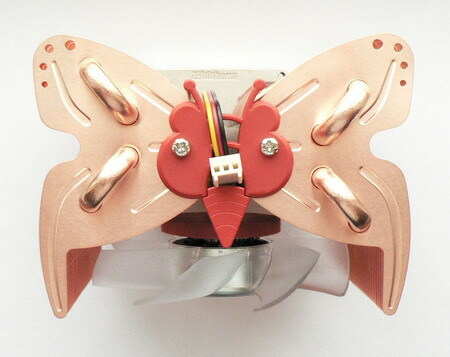 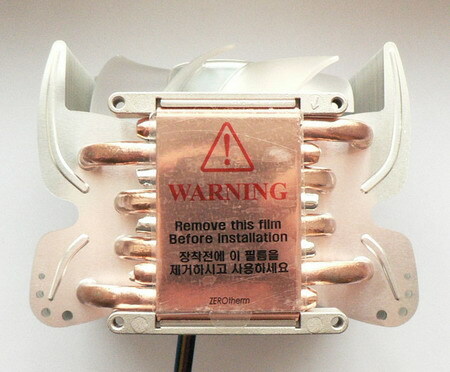 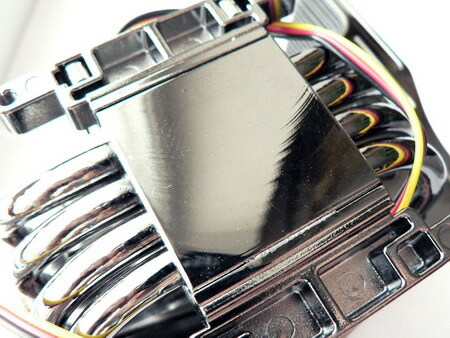 The models BTF80/90 use identical fan with speed control support (PWM). 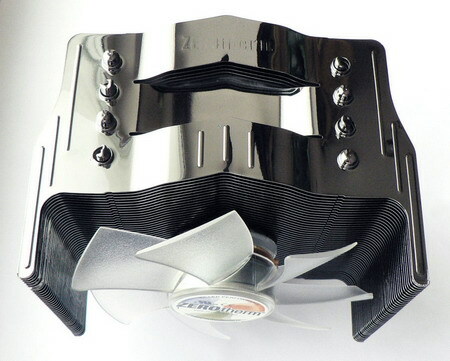 Thus, the fan speed is regulated automatically in the range 750 ~ 2 500 (±10%) rp/min with the maximum noise level 27 dB and air flow 42.8 CFM. 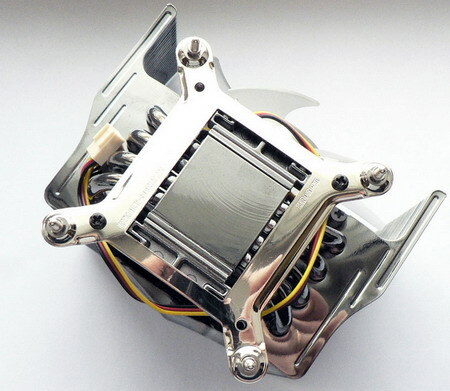 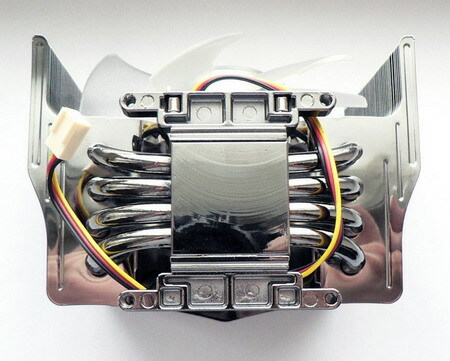 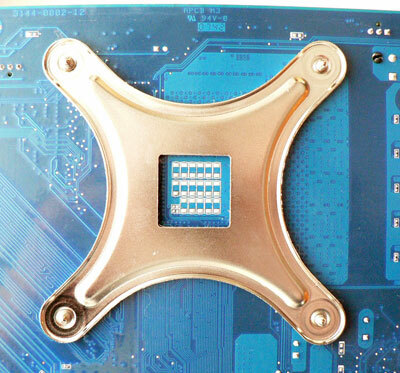 The cooler model BTF92 O.E (O.E = OverClocker edition) got the increased size and also better fan, the rotation speed here varies in the range 1000 ~ 2 300 (±10%) rp/min ( note in practice, the fan speed is even higher than the indicated in specifications 2 300 rp/min, and it is ~3 060 rp/min ). 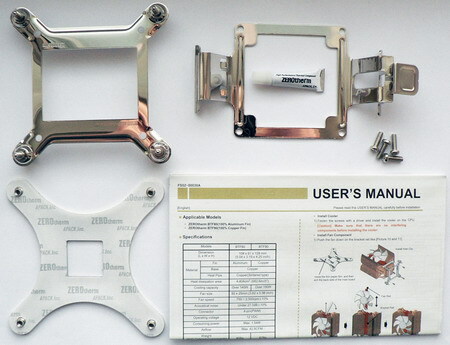 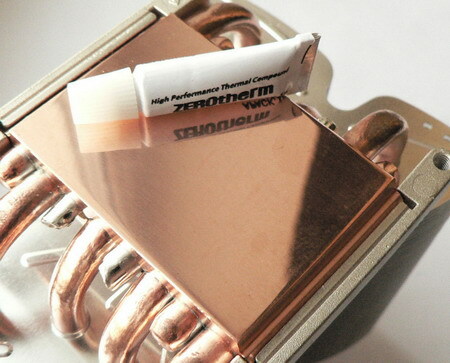 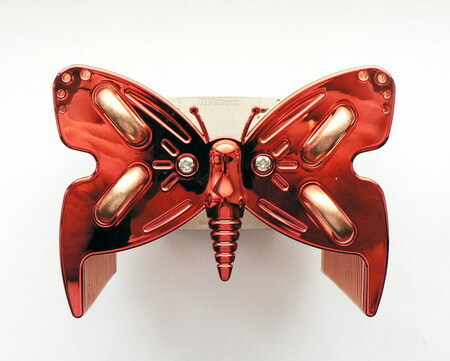 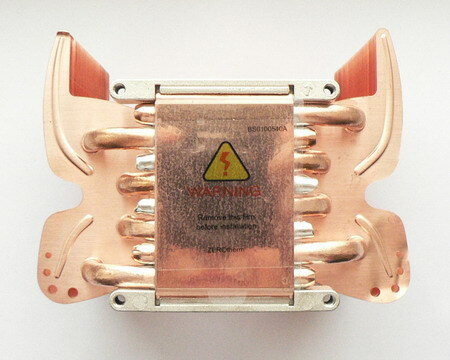 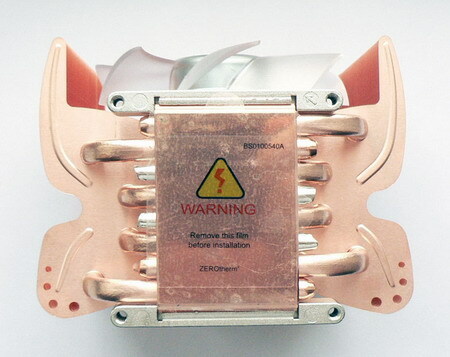 The copper base make contacts immediately with 8 thermal tubes,. 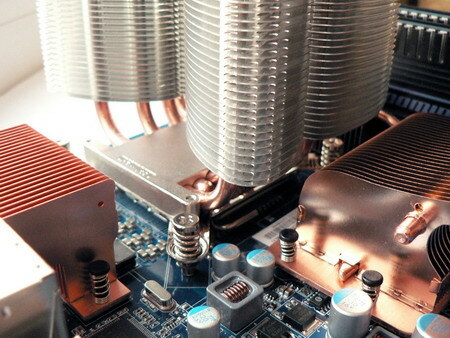 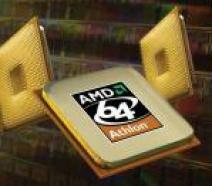 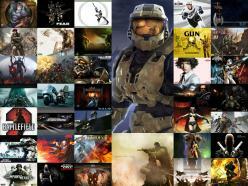 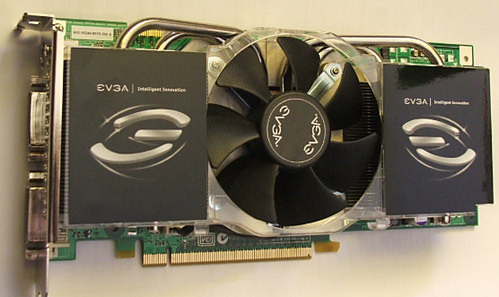 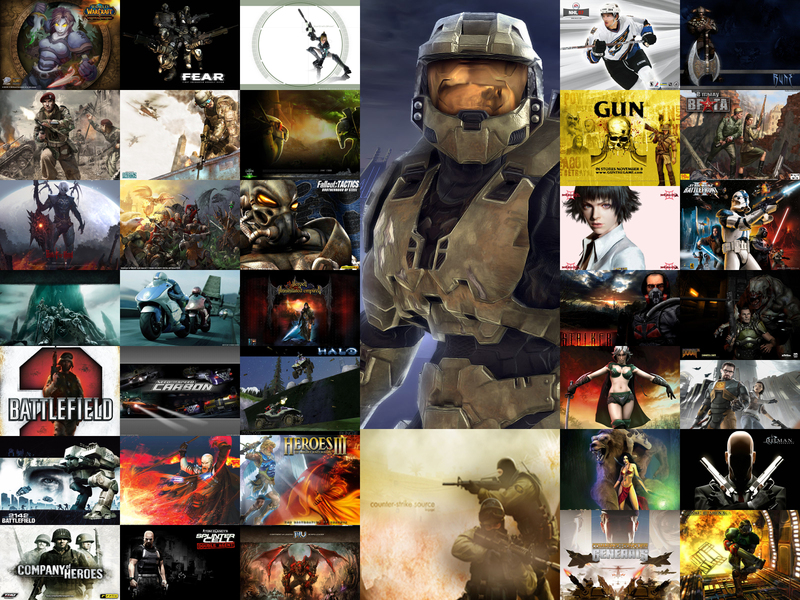 Those cooler are compatible with most up to date AMD and Intel processor . 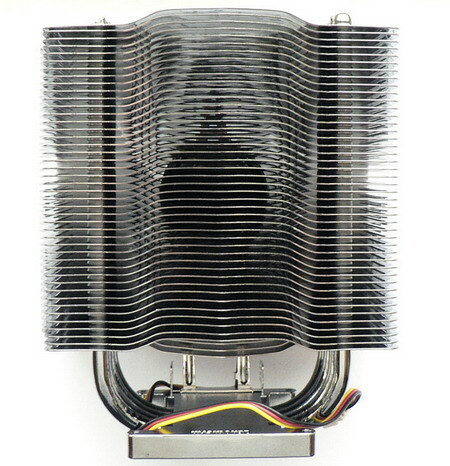 The recommended cost of those coolers are : BTF80/90 � 30.99/31.99 dollars, and BTF92 O.E. 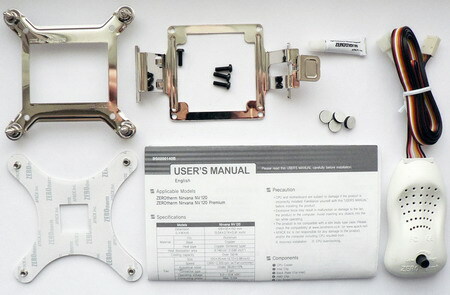 35.99 US dollars. 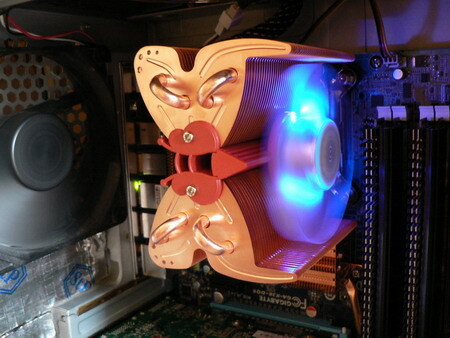 The design change is completely logical here, with no fan this cooler use the case airflow . 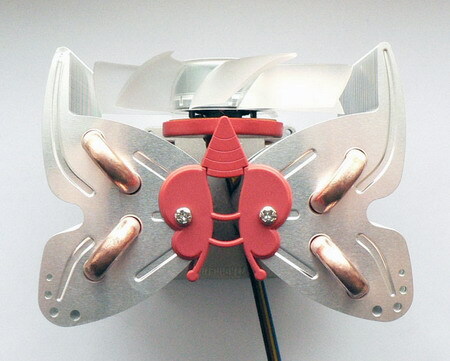 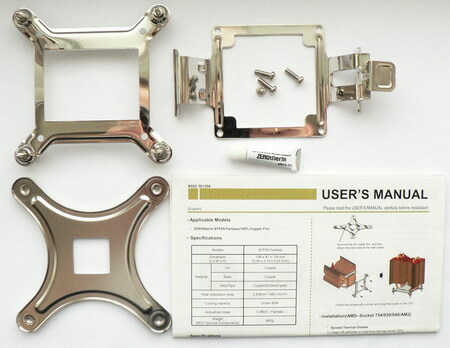 This cooler Weight, is less than BTF92 O.E , It is only 510 grams. 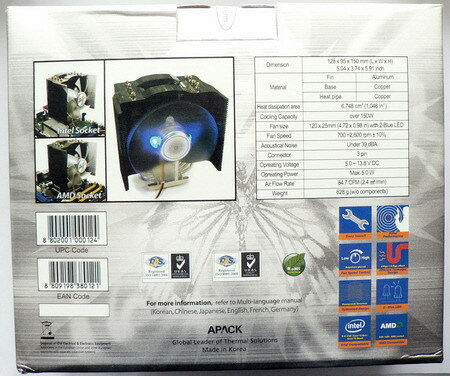 The recommended cost of such cooler is 33.99 dollars. 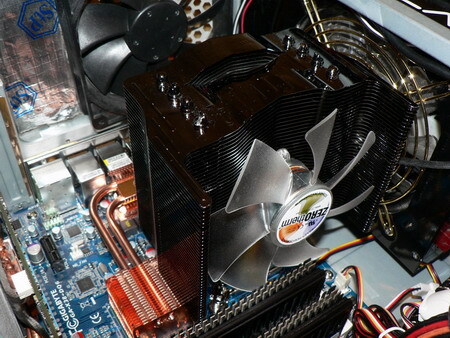 This cooling system just as previous models, was made in Korea. 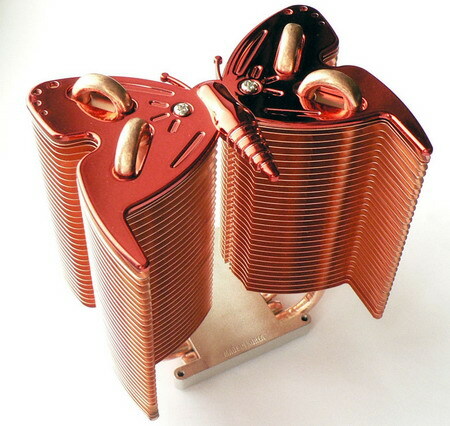 The massive radiator in nirvana NV120 premium is collected by 44 aluminum edges with 0.3 mm thickness , There is four copper thermal tubes with 6 mm diameter. 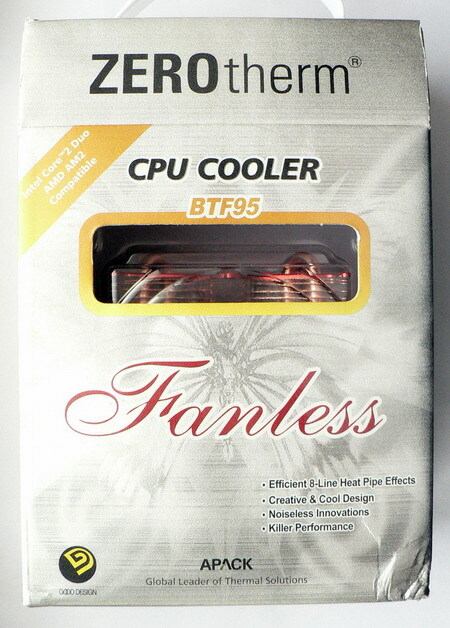 The recommended cost of this cooler is only 39.99 US dollars (with reduction). 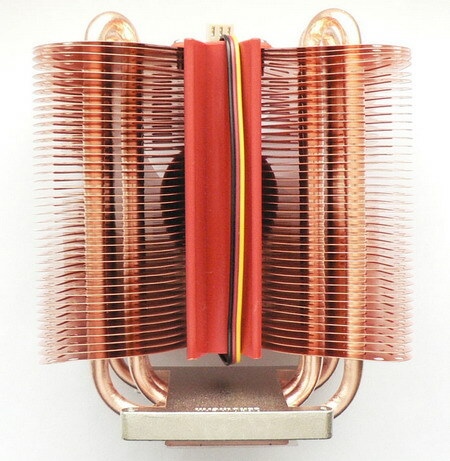 Without reductions the cooler cost $59.9. 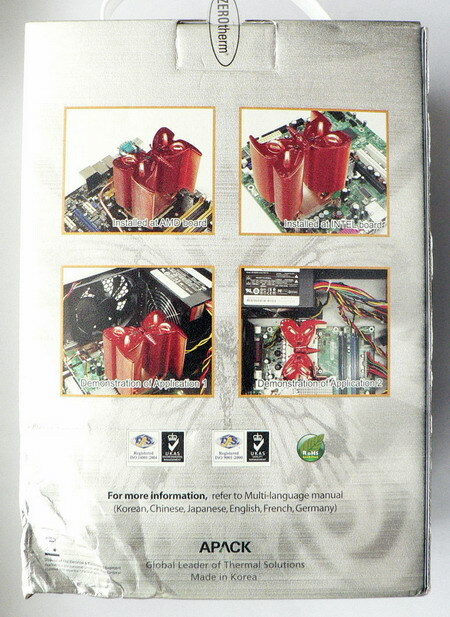 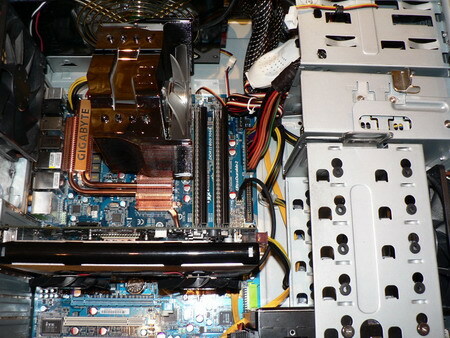 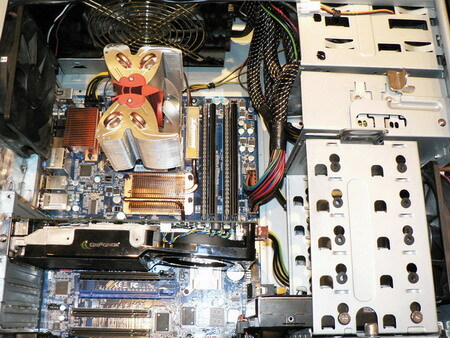 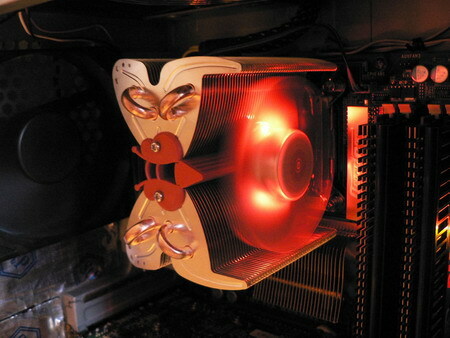 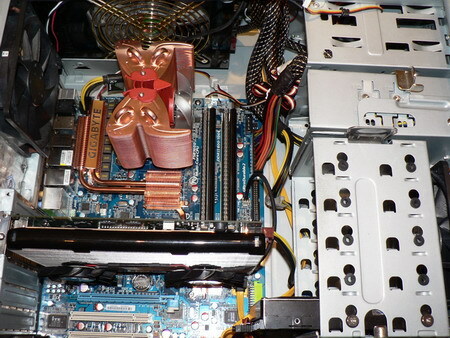 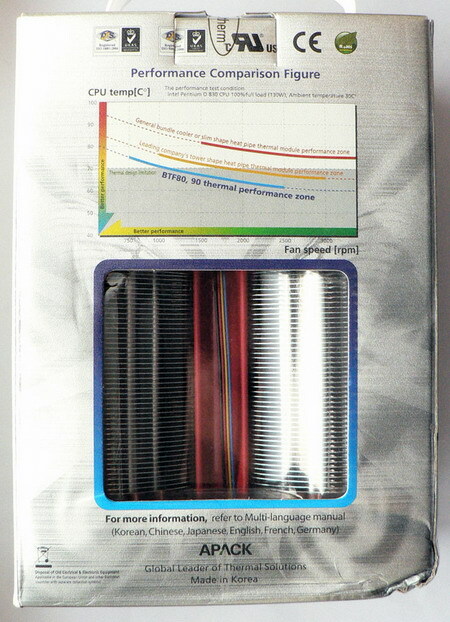 The weakest cooling system succeeded to overclock the four core processor to 4.0 GHz with 1.6 v .
All tests were under Windows XP professional edition SP2. 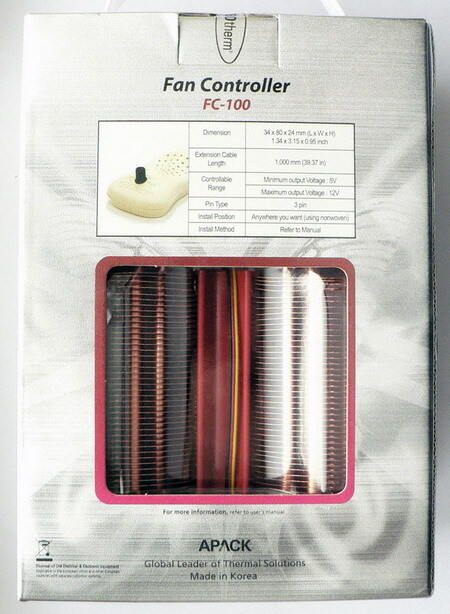 For temperature monitoring we used the utility SpeedFan. 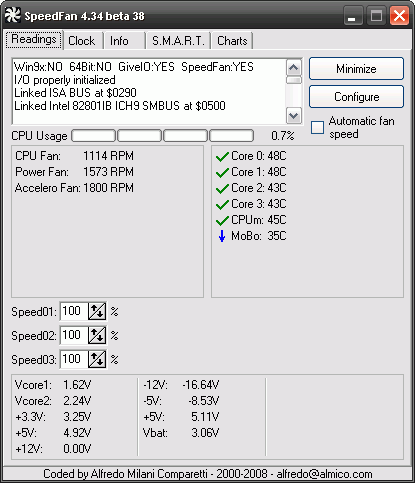 All technologies of automatic fan speed adjustment were switched off . 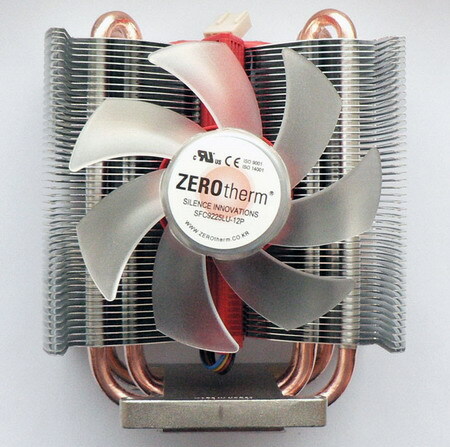 First we note the minimum difference in temperature between aluminum zEROtherm BTF80 and copper model BTF90. 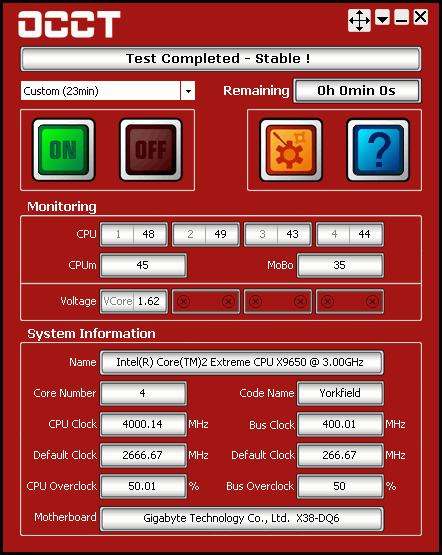 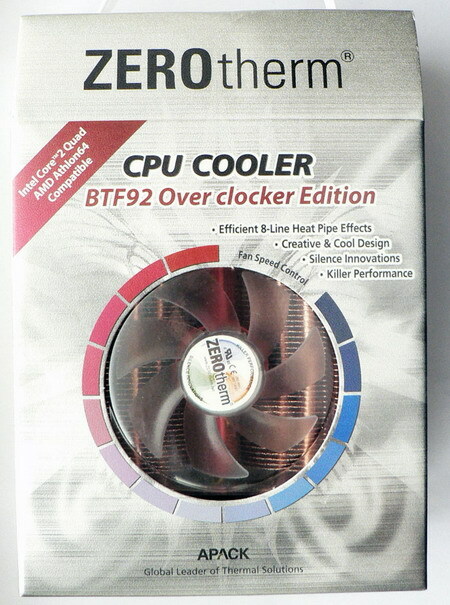 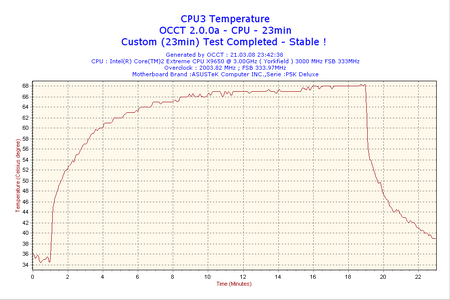 In addition the overclocker model zEROtherm BTF92 O.E has about the same performance as other two cooler. 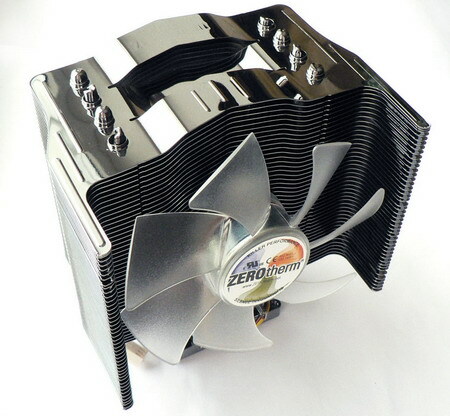 The cooler zEROtherm nirvana NV120 premium show better result and this is logical. 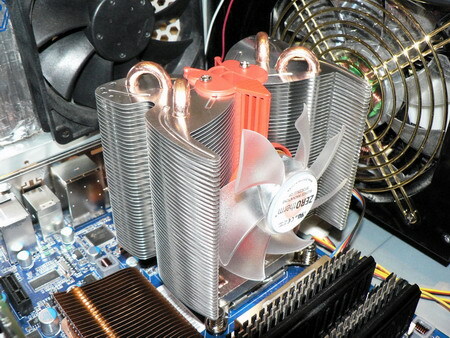 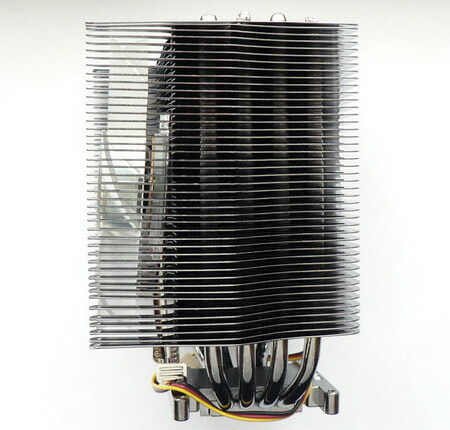 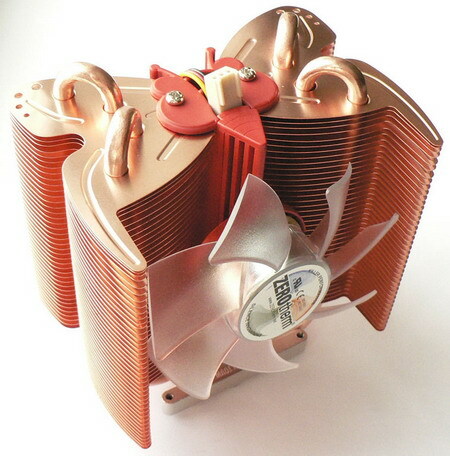 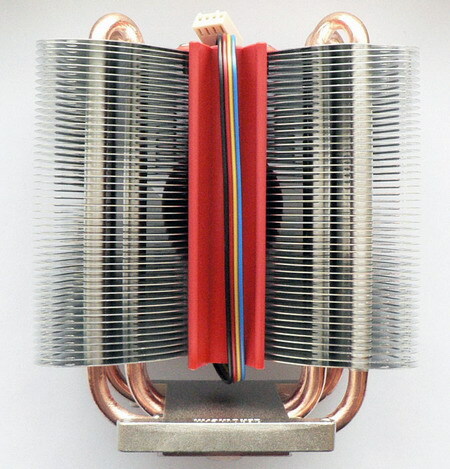 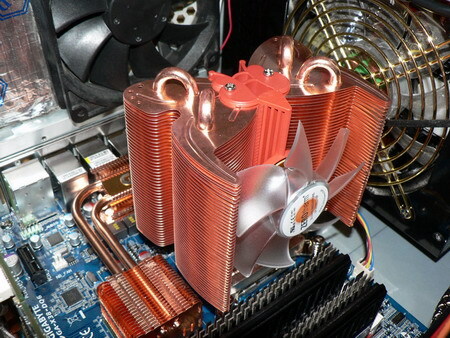 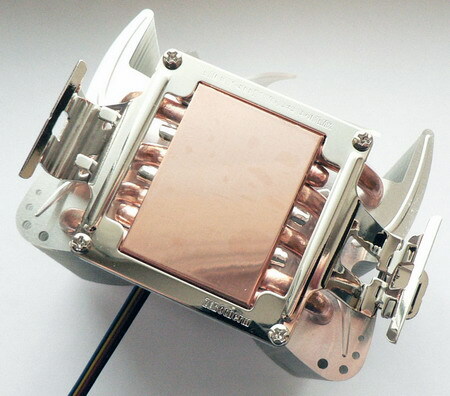 But here Nirvana about equal to super-cooler thermalright ultra-120 eXtreme. 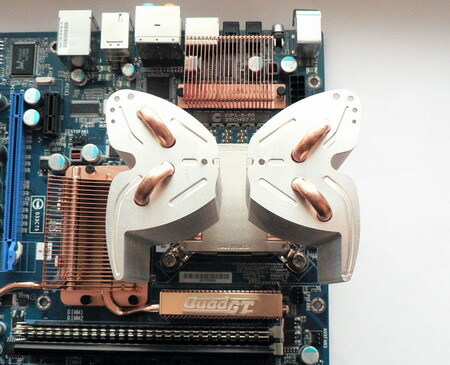 This is completely worthy results for such decorative cooler. 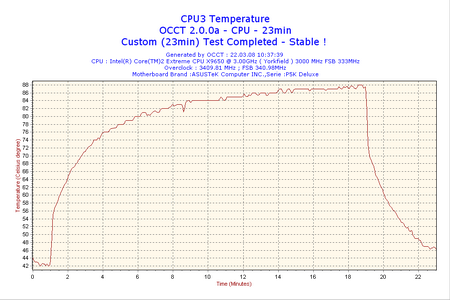 The noise level results are completely regular in all case .